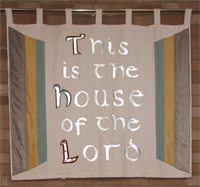 We gather for worship on Sundays at 10.30 am and 6.30 pm. This forms the backbone of our church life. For children on Sunday mornings there is Young Church. Children from 3-15 years old start with their parents in morning worship before leaving for their own programme while a creche caters for babies and toddlers of 0-3 yrs for the whole period. There are also opportunities to worship with us on other days of the week. 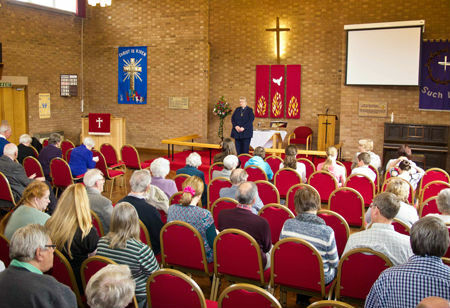 Adults gather once a month on a Thursday for a Praise Evening in an informal setting. Parents and carers can worship with their children at ToddlerTime (monthly on Wednesday mornings) and at Messy Church (bi-monthly on Friday afternoon/evenings). Please use the links in the text or on the left to find out more details. Our purpose is to promote and encourage Christian belief and worship of God. develop spiritually through prayer, worship and Bible study. be welcoming, and to appreciate and care for one another in Christian fellowship. encourage and support young people. bear a Christian witness through our lifestyle and service in the community.